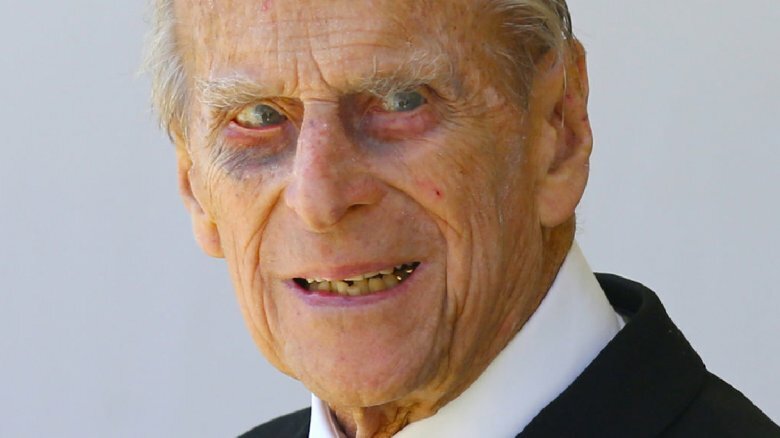 Prince Philip was reportedly involved in a two-car accident on Jan. 17, 2019. Fortunately, the royal appears to be okay. TMZ reports that Philip was driving an SUV near England's Sandringham Estate, where he's been staying. Police reportedly responded to the scene around 3 p.m. and helped "two people with minor injuries." Despite his SUV going onto its side, Philip is said to have not been injured in the accident. Witnesses, however, reportedly told ITV News that Philip appeared "shocked and shaken" after exiting his vehicle following the crash. Queen Elizabeth was not in her husband's Range Rover at the time of the accident. It's possible Philip had his "close protection officer" with him in the car. A royal spokesperson remarked on the accident in a statement obtained by E! News. "The Duke of Edinburgh was involved in a road traffic accident with another vehicle this afternoon," the rep said. "The Duke was not injured." The 97-year-old royal was reportedly checked out by a doctor as a precaution. ITV News notes that the two people injured in the accident were both women who were in a Kia, and they have both since been discharged from the hospital. Chris Ship, a royal correspondent for ITV News, said that Philip "likes to drive" and "likes his independence." Ship also said that it's likely that "questions will be asked" regarding whether or not Philip should still be operating a vehicle at his advanced age. Philip retired from his life in the public in 2017, though he still makes occasional appearances with the royal family, as noted by CNN. For instance, he attended grandson Prince Harry's wedding to Meghan Markle and granddaughter Princess Eugenie's marriage to Jack Brooksbank.